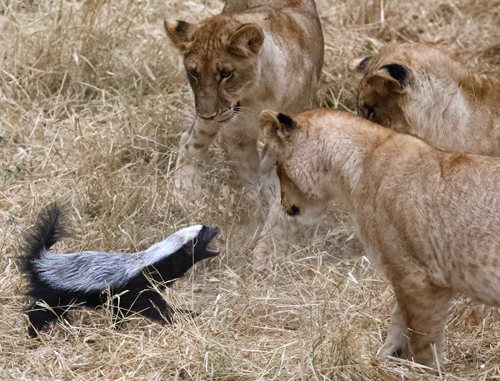 Honey Badger fighting off Lion cubs. 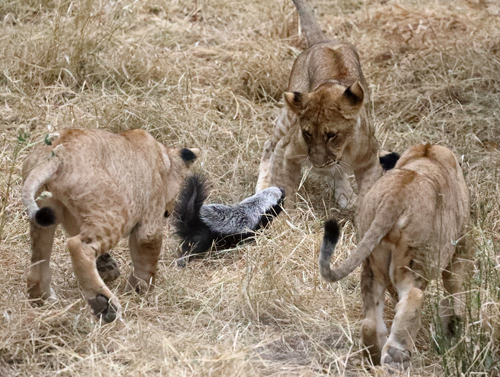 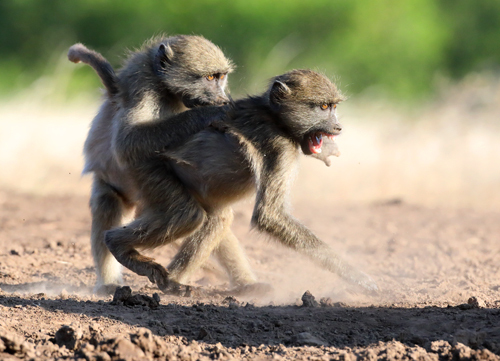 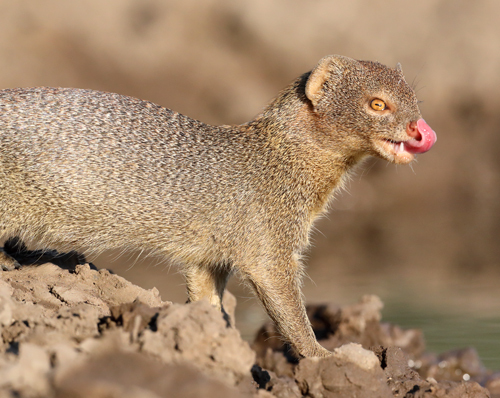 A mother Honey Badger and her baby were being tormented by two Lionesses and Six 8m old cubs. 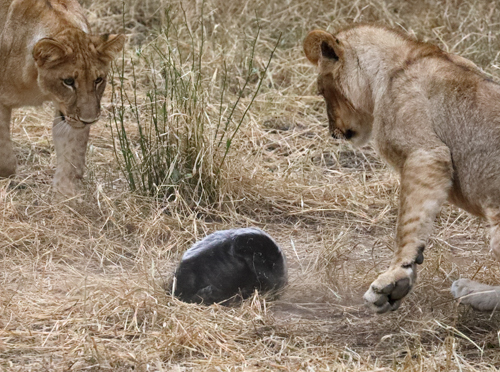 The lions tried to kill the honey badgers. 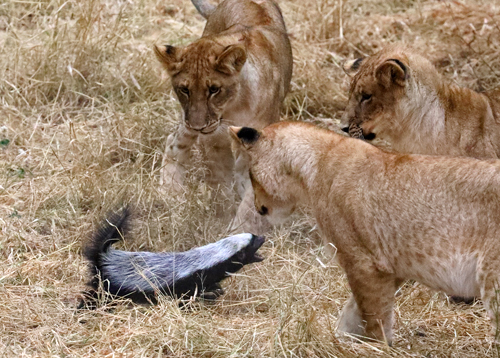 But the honey badgers managed to get away and the following morning one of the lionesses was limping after a bite from one of the badgers. 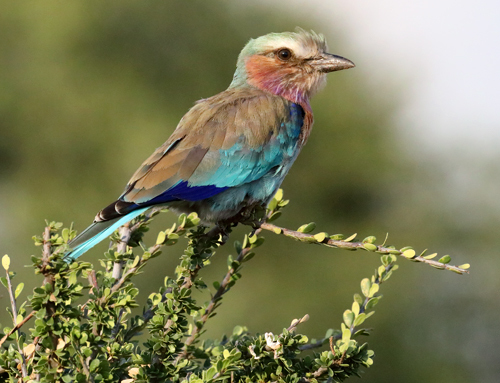 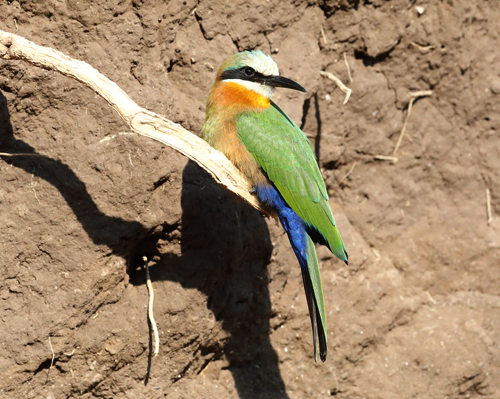 A very rare yellow-throated morph of the Whitefronted Bee-eater. 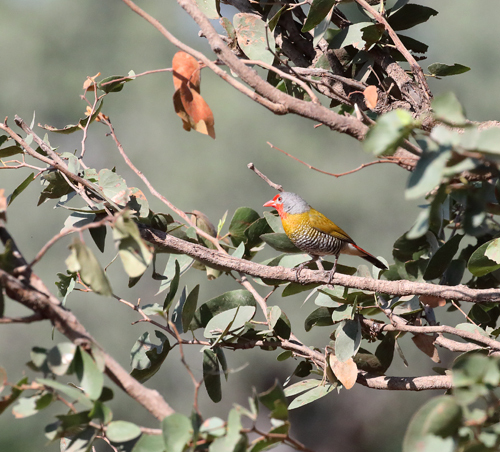 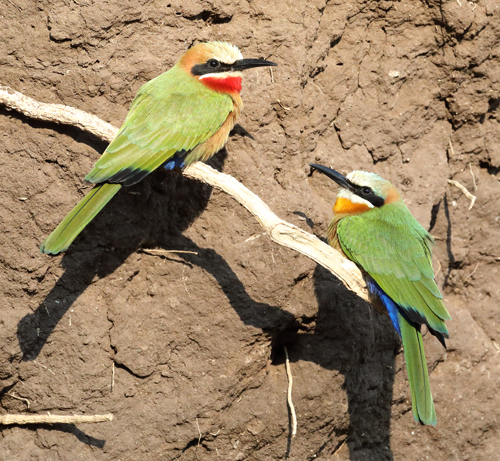 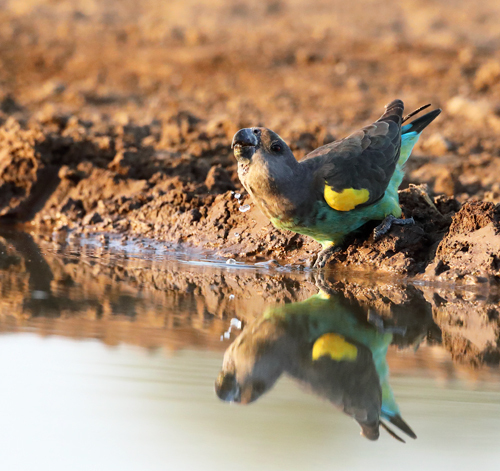 The yellow-throated morph is seen here next to a typically-coloured whitefronted bee-eater, with a red-throat. 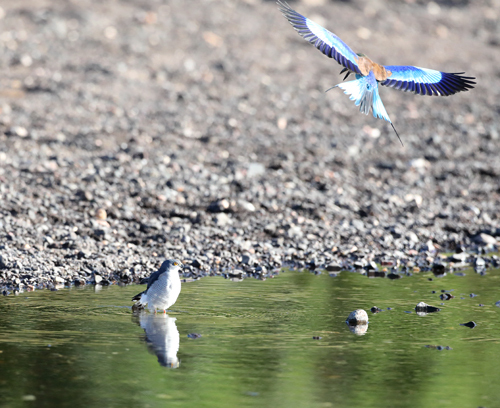 Little-banded Goshawk (or Shikra) being mobbed by a Lilacbreasted Roller. 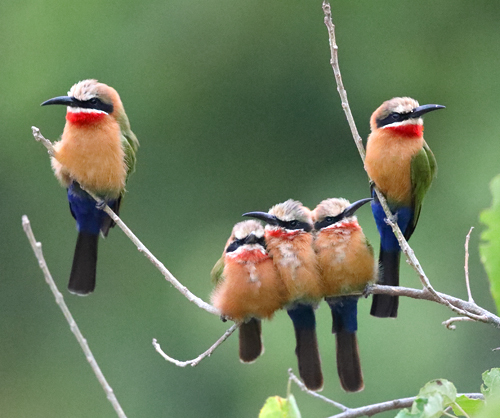 Group of Whitefronted Bee-eaters huddling together for warmth in the cool of early morning. 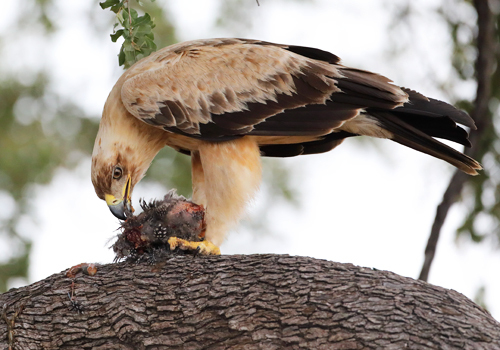 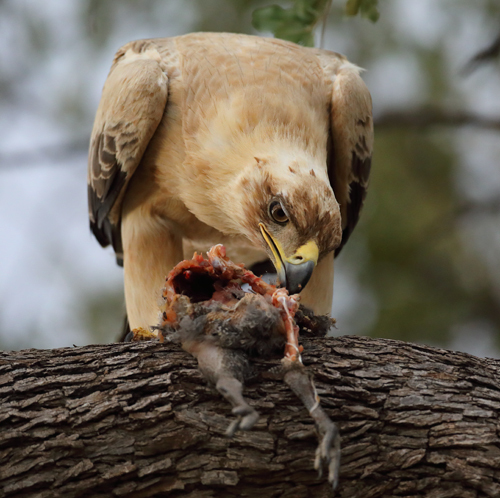 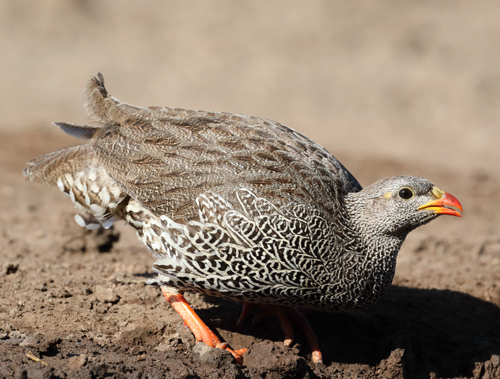 Pale phase Tawny Eagle feeding on Helmeted Guineafowl. 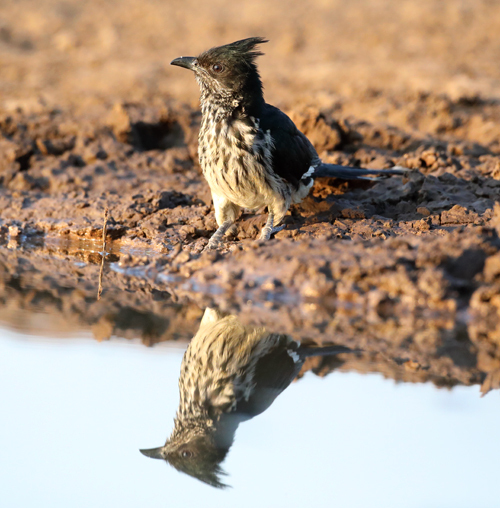 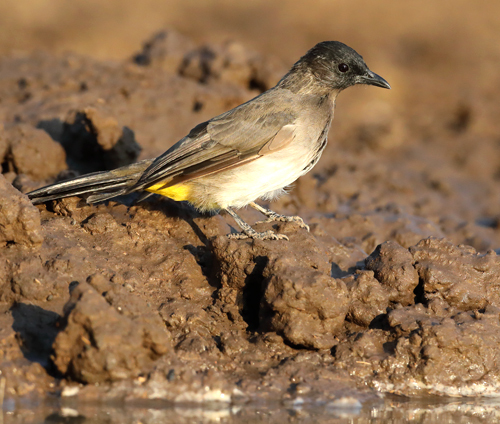 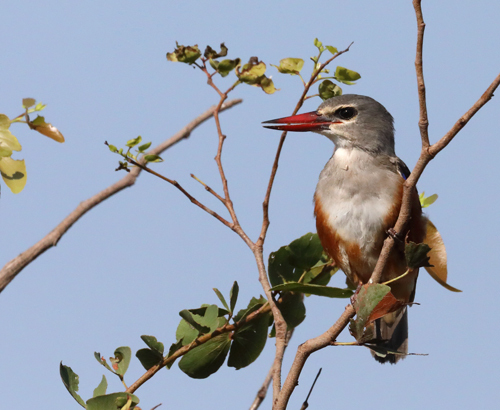 Levaillant's Cuckoo at water's edge. 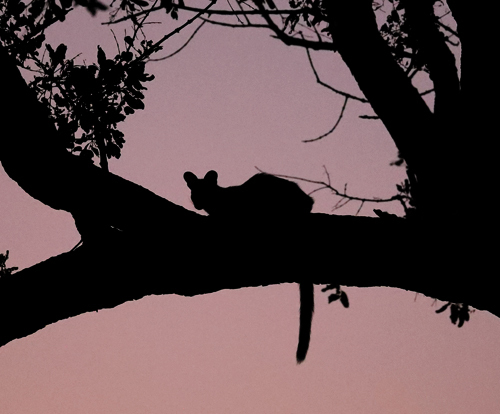 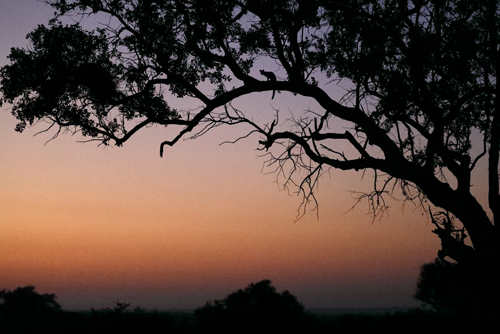 Largespotted genet silhouetted in tree at sunrise. 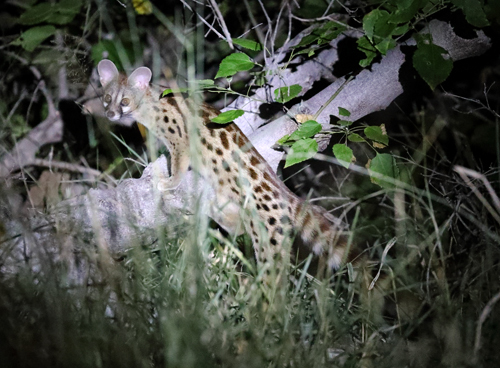 Largespotted Genet spotlit at night. 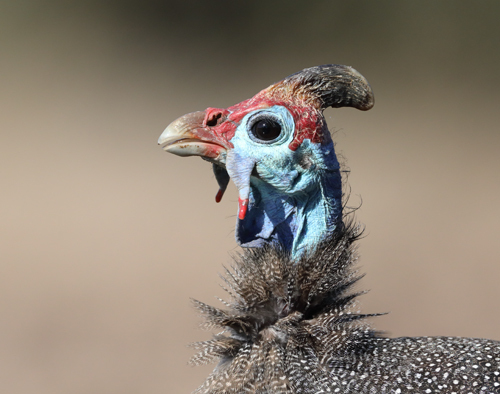 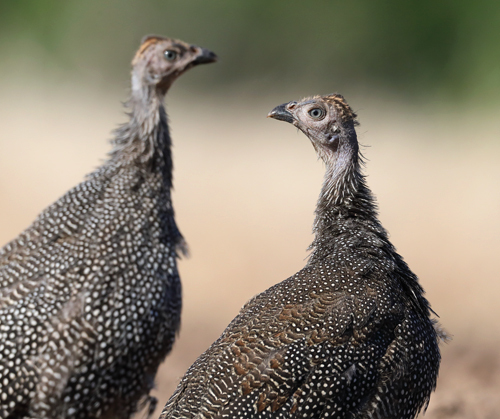 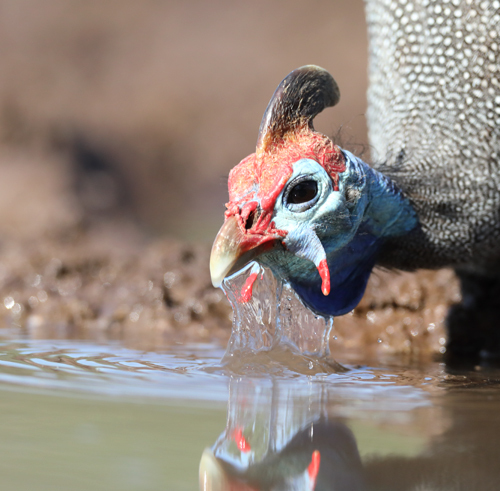 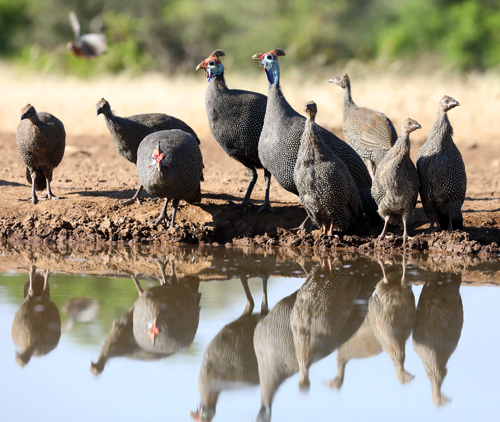 Flock of Helmeted Guineafowls at waterhole. 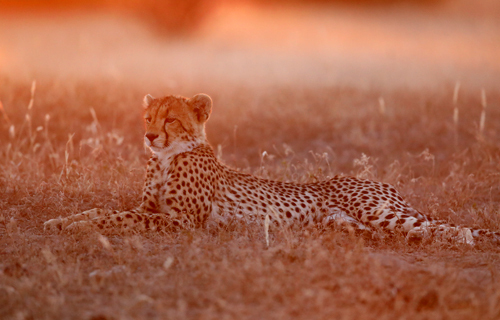 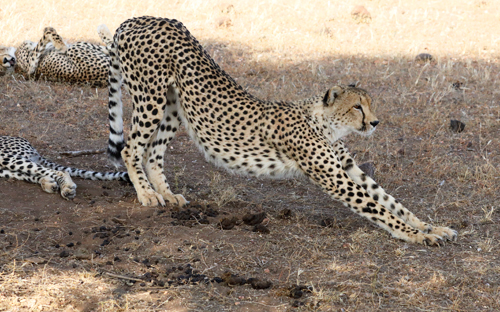 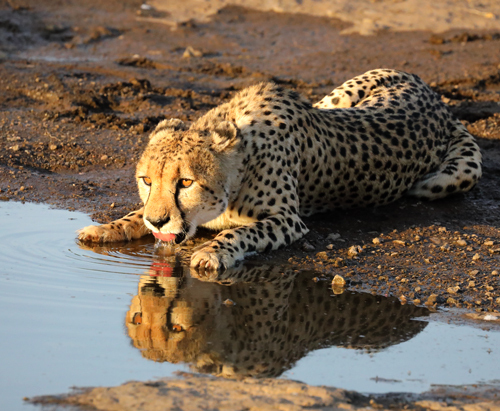 Cheetah drinking in early evening. 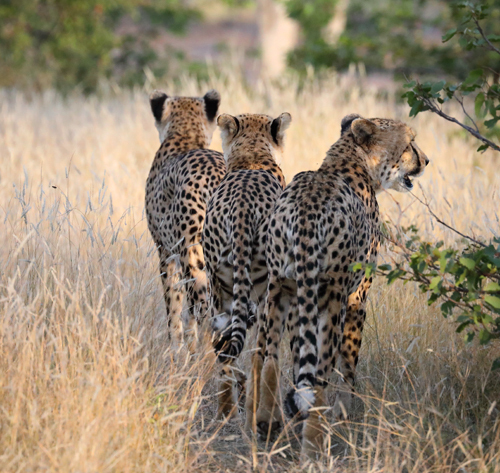 Cheetahs walking in single file. 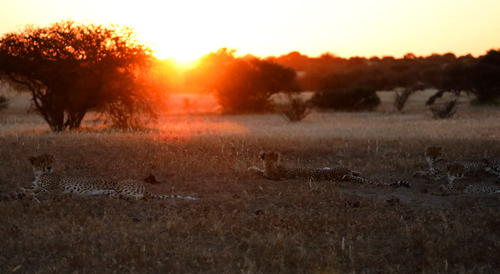 Mother Cheetah with three cubs at sunset. 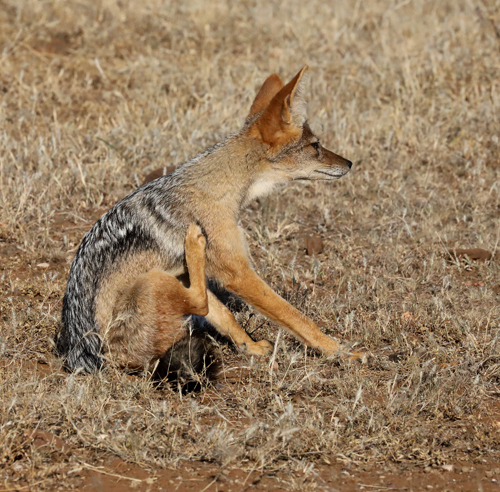 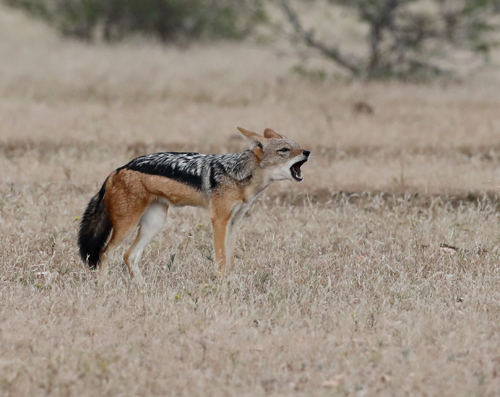 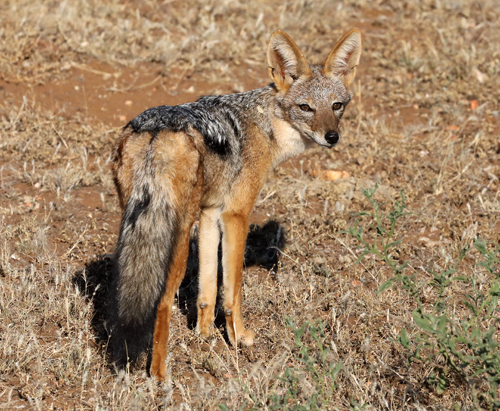 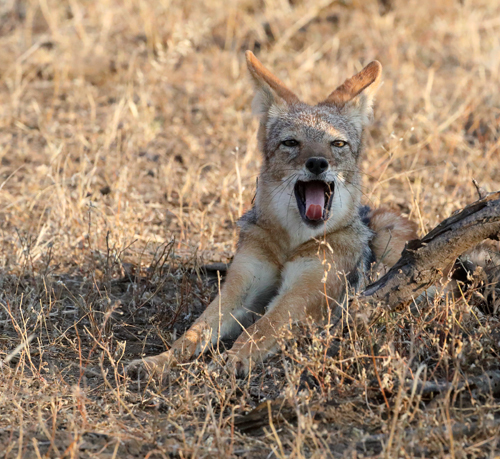 Blackbacked Jackal showing off bushy tail. 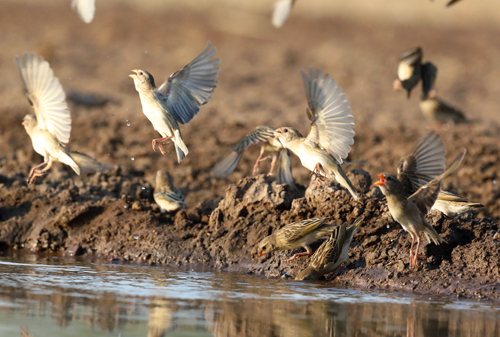 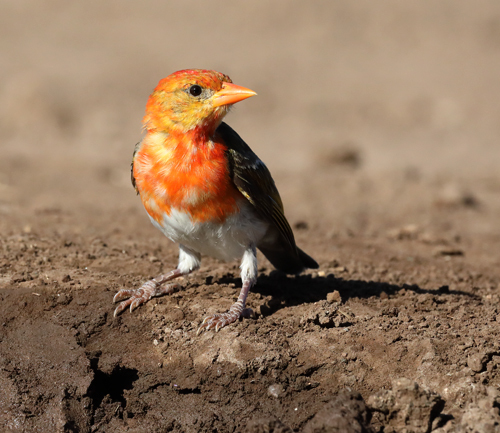 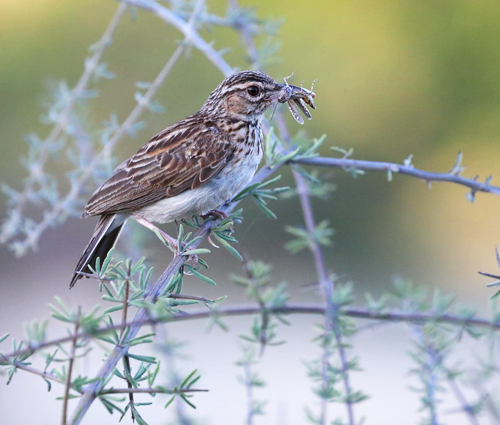 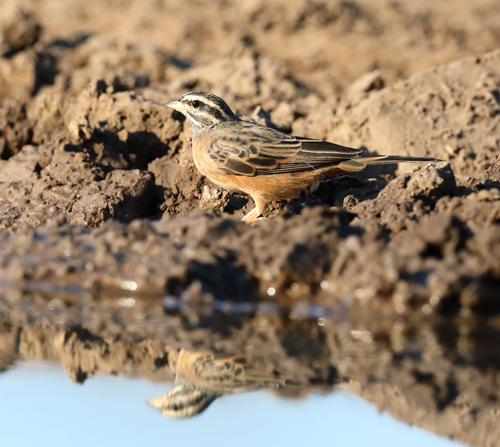 Sabota Lark with grasshopper-prey in bill. 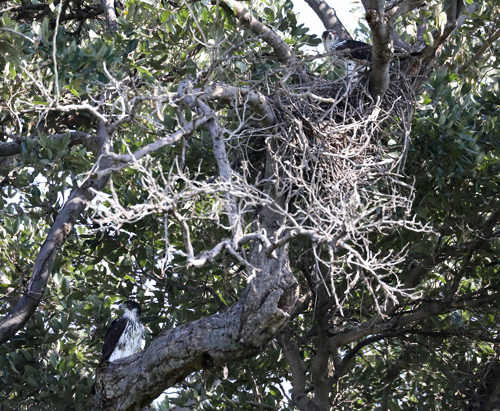 Pair of African Hawk-Eagles at their nest site. 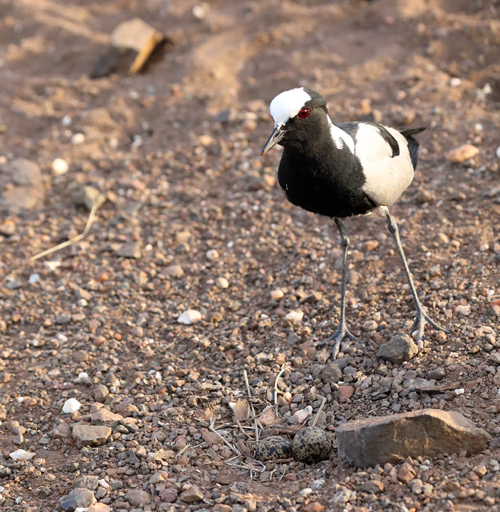 Blackmith Lapwing stood behind it's nest with two eggs. 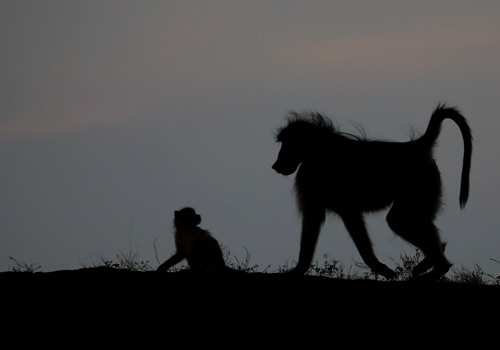 Chacma Baboons silhouetted at sunset on top of river bank. 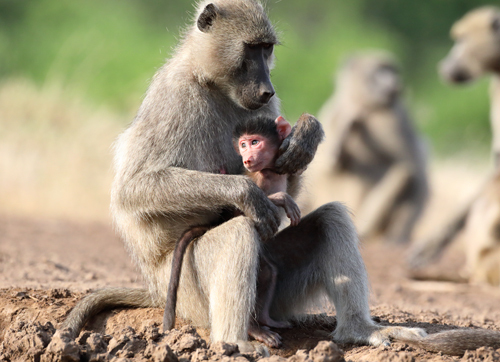 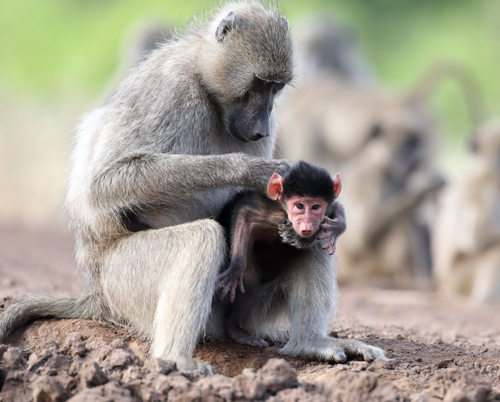 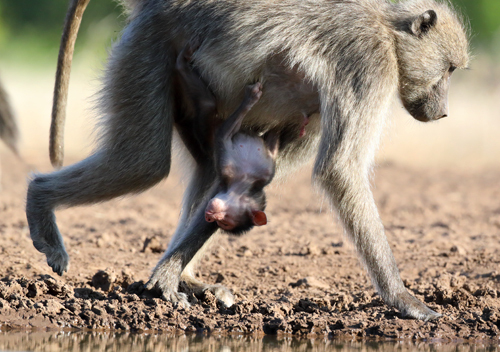 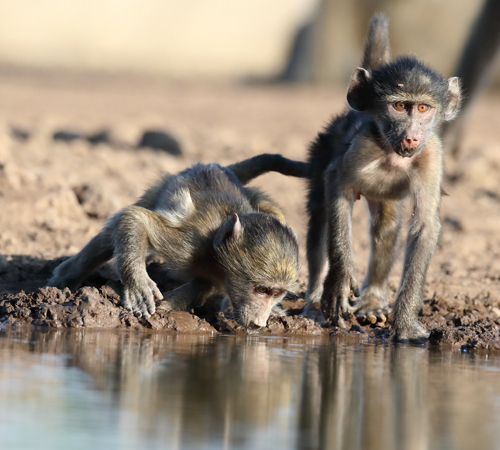 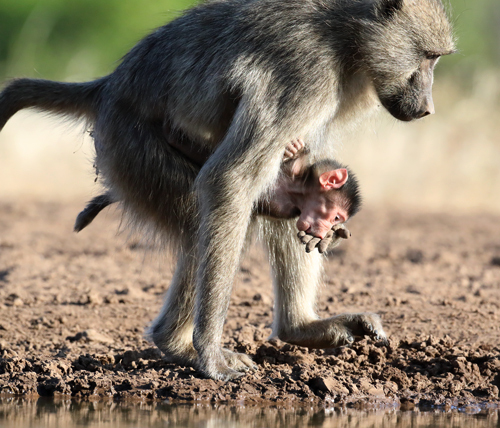 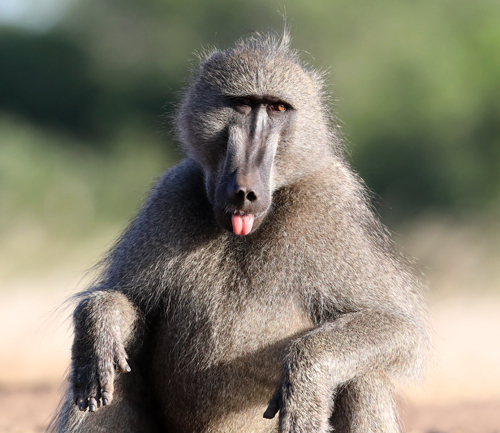 Mother Chacma Baboon with young baby. 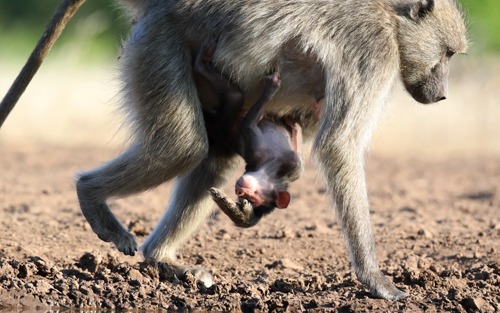 Baby dangling upside down below its mother. 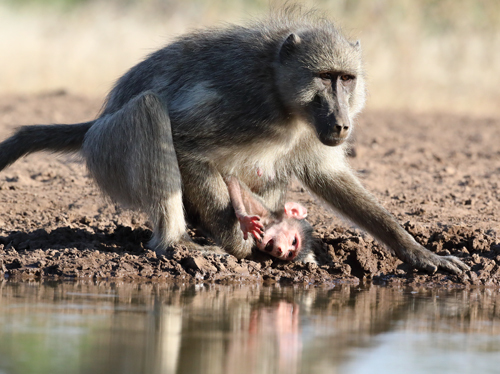 The mother puts out a hand to secure her baby. 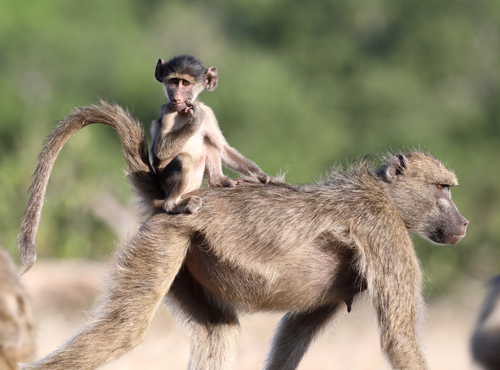 Youngster riding jockey-style on mother's back. 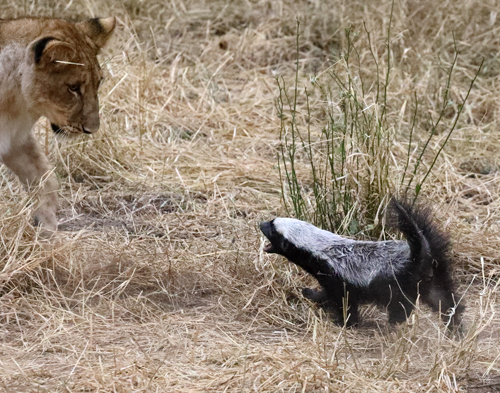 More Honey Badger versus Lion action. 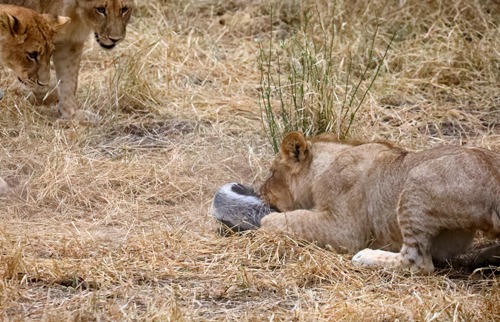 Lion cub trying to grip neck of Honey Badger in its jaws. 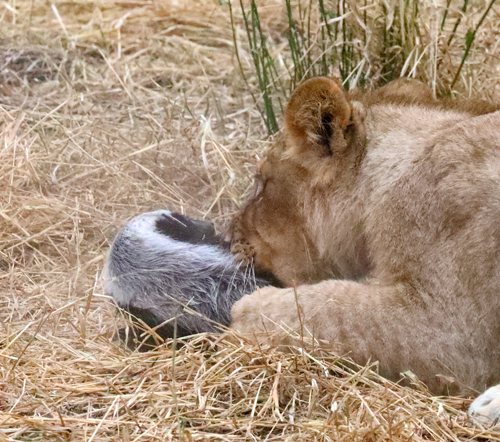 Honey Badger curled into a defensive ball. 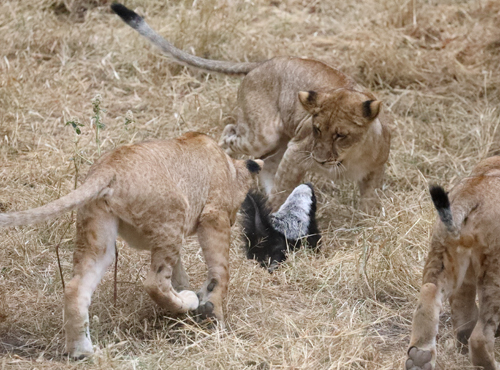 Attacked from all sides ! 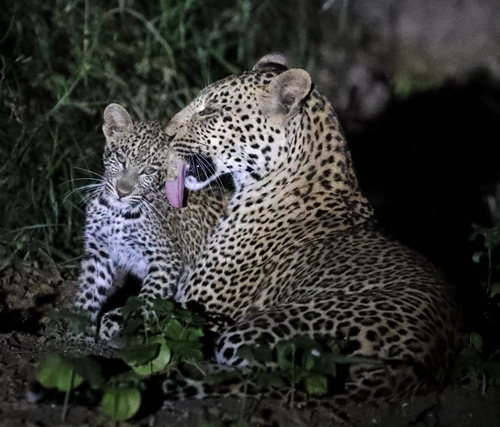 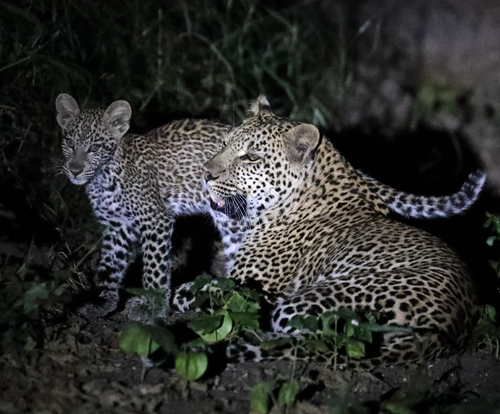 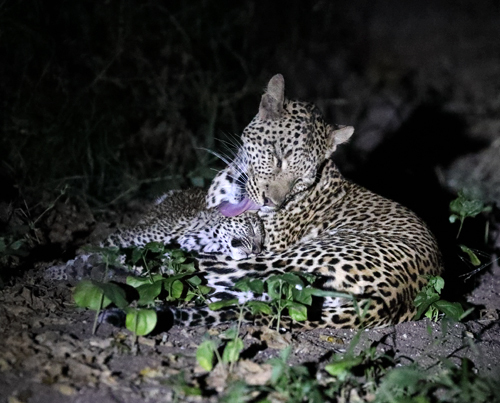 Mother Leopard grooming her cub. 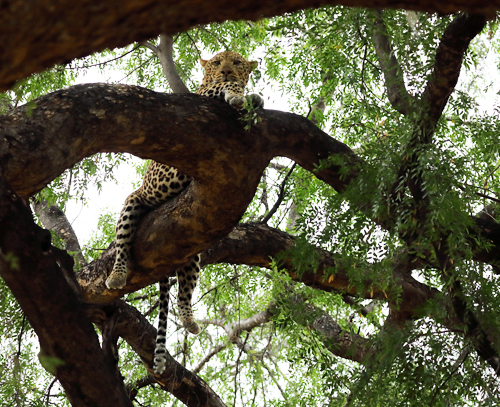 Leopard resting in large riverine tree. 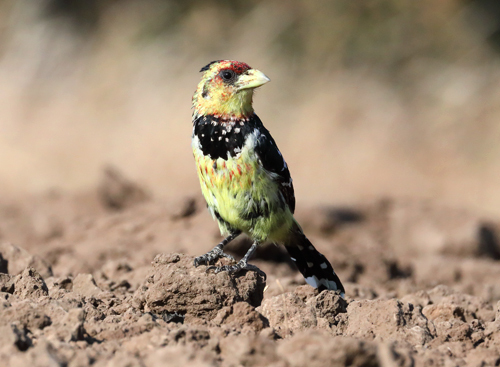 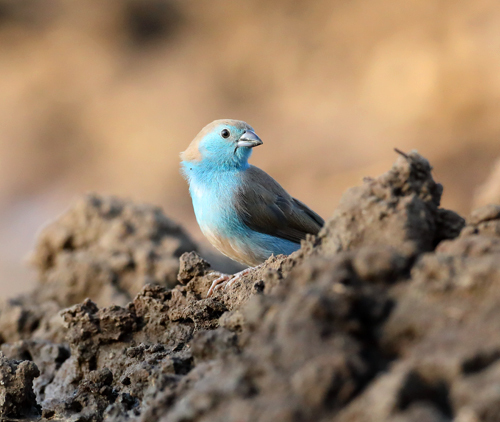 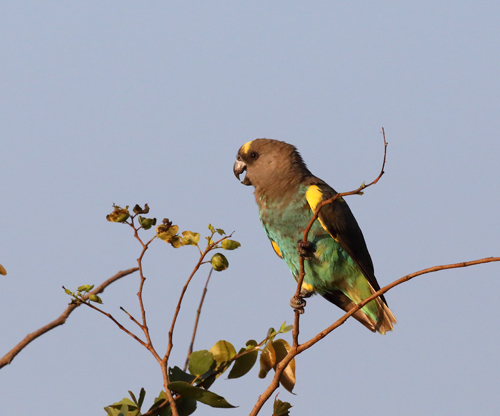 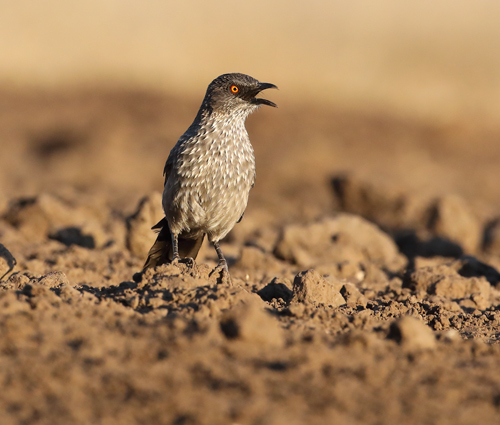 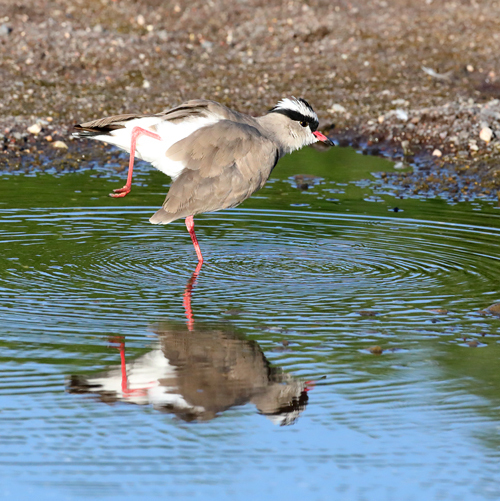 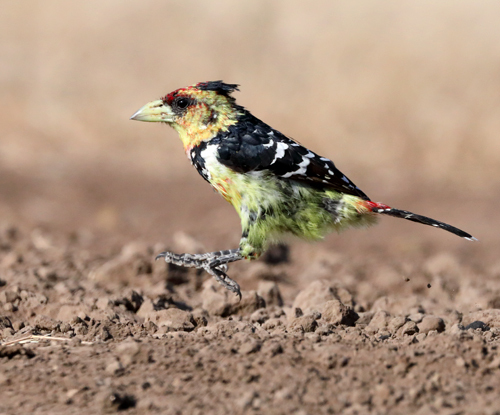 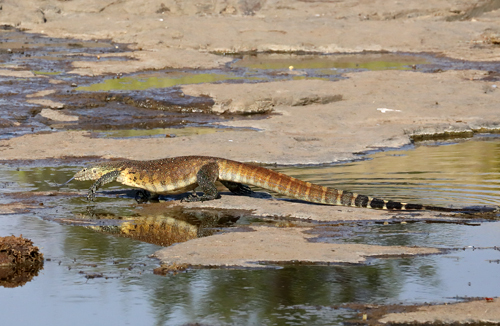 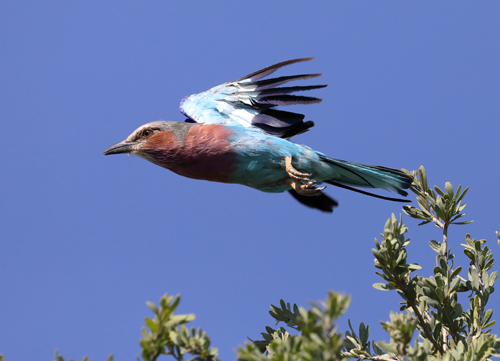 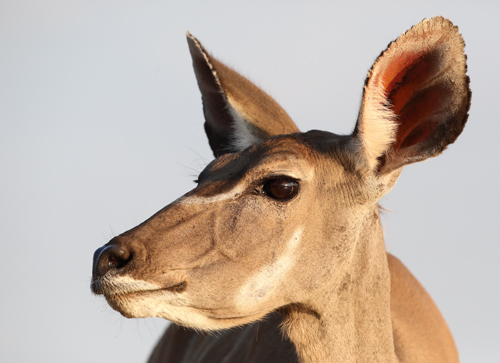 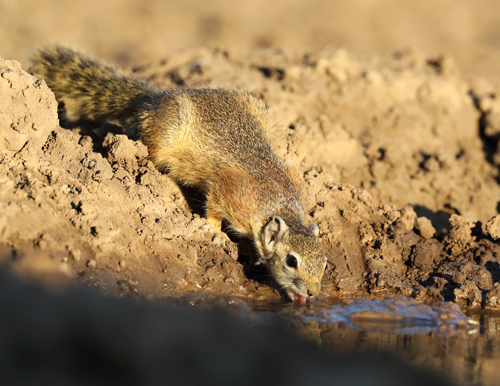 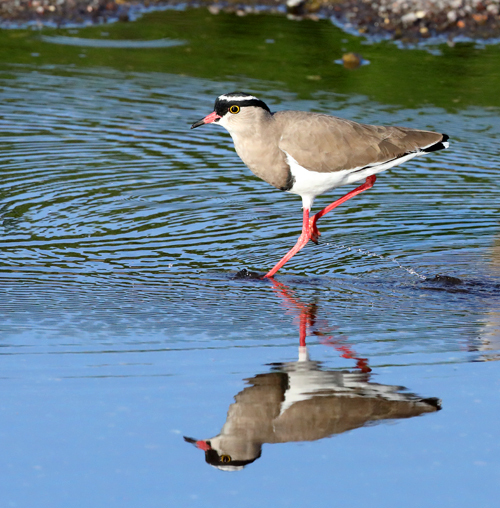 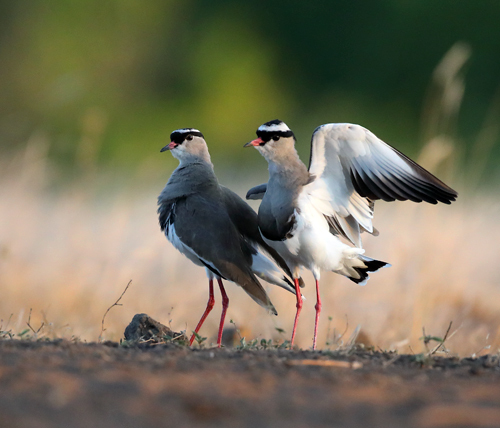 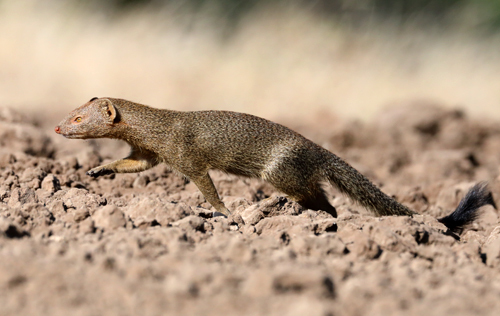 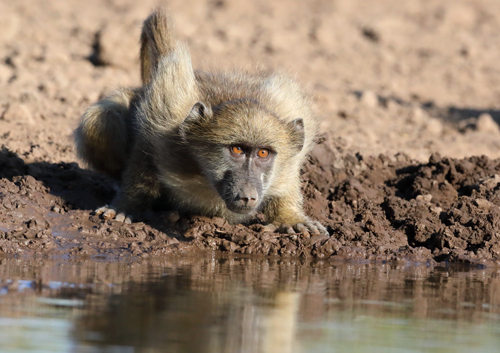 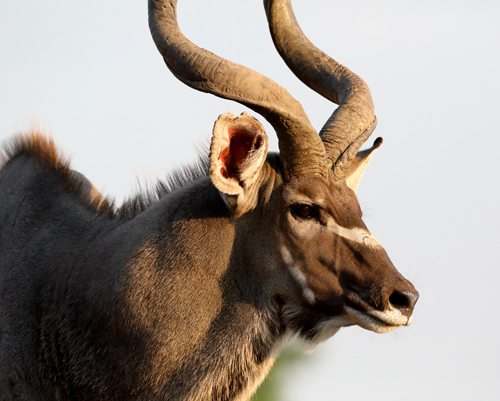 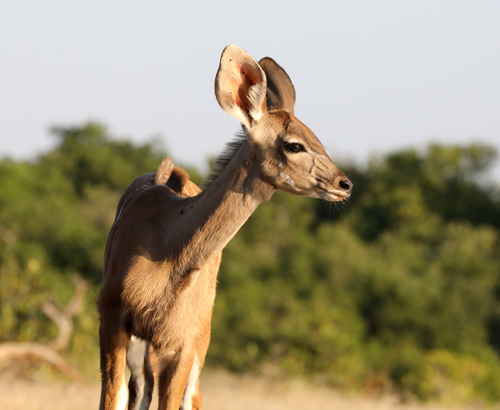 With many thanks to photo guide Janet, ranger Kaizer and tracker Goms.